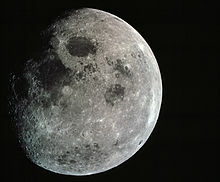 In his March 1968 speech at the Manned Spacecraft Center (MSC) in Houston, Texas, President Lyndon B. Johnson announced the formation of the Lunar Science Institute (LSI). "The institute will provide a base for outside scientists, encouraging them to visit the Manned Spacecraft Center and use its laboratories, lunar photographs, and (ultimately) its rock samples. LSI is viewed as a major potential stimulus to lunar science at MSC and elsewhere." This announcement was the culmination of meetings and events involving NASA, the National Academy of Sciences, Universities Research Association and several major universities. Initially operated by the National Academy of Sciences, USRA took over the management of the Lunar Science Institute on December 11, 1969. Dr. William W. Rubey was appointed the first director of the Lunar Science Institute. Dr. Rubey led the institute through the transition to the new management operation under USRA. A program of visiting university-based scientists was established, the first symposium was organized, and the first lecture of the LSI seminar series was presented. The Lunar Science Institute was formally dedicated on January 4, 1970, at the former West Mansion on NASA Road 1 near the Manned Spacecraft Center. Dr. Thomas R. McGetchin was appointed director in 1977. Under his leadership, Dr. McGetchin expanded the focus of the Lunar Science Institute to include the study of the entire solar system, and the name was changed to the Lunar and Planetary Institute. In 1991, under the leadership of Dr. David C. Black, the LPI moved into a new facility. This new building combined several USRA divisions and operations into one location. The building, dedicated in January 1992, provided more office, meeting, computer and library space and improved USRA-Houston operations. The LPI continues to operate in the USRA-Houston building under the direction of Dr. Louise Prockter. Research topics of the LPI include the formation and evolution of the solar system, petrology and geochemistry of planetary materials and volatiles, planetary interiors, volcanism, tectonism, and impact cratering. Research interests range from Mercury to Pluto and the icy moons of the solar system. The LPI currently maintains a staff of resident scientists as well as visiting scientists, postdoctoral fellows, and graduate fellows. Resident scientists provide planetary science expertise necessary for the LPI to achieve its goals and maintain their scientific proficiency through peer-reviewed activities. The Center for Lunar Science and Exploration, a collaborative effort of the Lunar and Planetary Institute and the Johnson Space Center and an integral part of the Solar System Exploration Research Virtual Institute (SSERVI) (formerly the NASA Lunar Science Institute), was established in 2009. The Center is designed to develop a core, multi-institutional lunar science program, provide scientific and technical expertise to NASA, support the development of a lunar science community, and develop lunar science education and outreach programs. The LPI hosts a Summer Intern Program providing undergraduates an opportunity to participate in cutting-edge research in the planetary sciences. LPI Summer Interns work one-on-one with scientists at the LPI or at the Johnson Space Center to complete research projects of current interest. The Summer Intern Program allows participants to experience a real research environment, to learn from leading planetary scientists, and to preview careers in research. From 2008 through 2013, the LPI also hosted a Lunar Exploration Summer Intern Program designed to evaluate possible landing sites for robotic and human exploration missions. Interns worked with LPI scientific staff and other collaborators. The program was open to graduate students in geology, planetary science, and related fields, and undergraduates with at least 50 semester hours of credit. In 2015, a new Exploration Science Summer Intern Program was established, building on the success of the previous program, but with a broader scope that includes both the Moon and near-Earth asteroids. The LPI organizes and sponsors a number of planetary science workshops and conferences throughout the year in both domestic and international locations, including the annual Lunar and Planetary Science Conference. This important five-day meeting held in the Houston area in March brings together international specialists in petrology, geochemistry, geophysics, geology, and astronomy to present scientific findings in planetary science. The LPSC dates back to the days of the Apollo program and the early meetings focusing on the study of the lunar samples. After 50 years, this conference continues to thrive, drawing planetary scientists and researchers from around the world. The LPI has collaborated on a number of publications in the prestigious Space Science Series of the University of Arizona Press, including Asteroids III (ISBN 0816522812), Comets II (ISBN 0816524505), Europa (ISBN 9780816528448), Meteorites and the Early Solar System II (ISBN 9780816525621), Origin of the Earth and Moon (ISBN 0816520739), Protostars and Planets V (ISBN 9780816526543), The Solar System Beyond Neptune (ISBN 9780816527557), and Comparative Climatology of Terrestrial Planets (ISBN 9780816530595). The LPI also publishes a large number of planetary science workshop and meeting documents every year as well as a quarterly newsletter, Lunar and Planetary Information Bulletin. Since June 2014, eighteen lunar and planetary science books, most published by LPI such as Traces of Catastrophe and Lunar Stratigraphy and Sedimentology, have been available online. The LPI has a long tradition of space science education and public outreach through a number of programs and resources. This effort serves a wide variety of audiences, including K-12 students and educators, undergraduate, graduate, and postgraduate students, and the public in formal and informal venues and on local, regional, and national levels. This collection is a NASA Regional Planetary Image Facility (RPIF) and includes photographs, maps, and other data from planetary missions including Apollo, Lunar Orbiter, Clementine, Mars Pathfinder, Voyager 1, Voyager 2, Magellan, Galileo and Mars Global Surveyor. ^ French, Bevan M. (1998). Traces of Catastrophe. LPI Contribution No. 954. Lunar and Planetary Institute. p. 120. Retrieved April 3, 2013. ^ "Books". Lunar and Planetary Institute. January 13, 2014. Retrieved 20 February 2014. This page was last edited on 25 March 2019, at 16:22 (UTC).